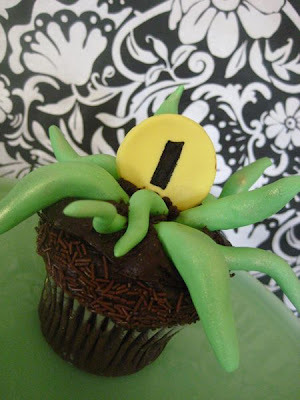 Amanda's Parties To Go: Crazy, Spooky Cupcakes (and more)! Crazy, Spooky Cupcakes (and more)! I can't stop grabbing great ideas from the internet (it's a problem..... I know) but there's still time before Halloween to get a few treats in! And I'm figuring there are probably lots of you out there who relish in all these spooky little treats, too. 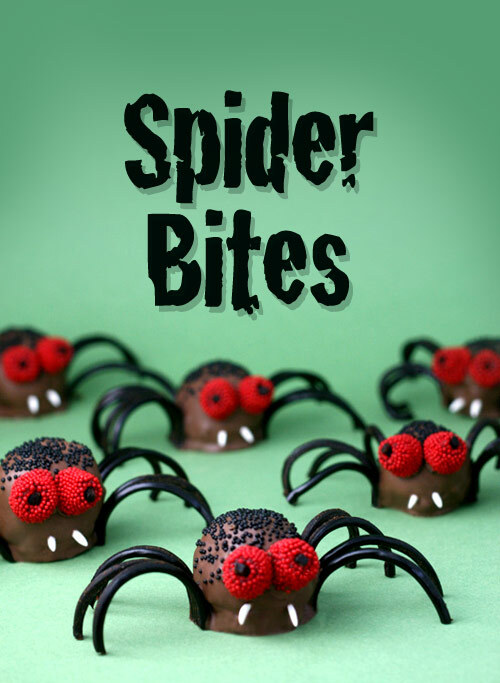 So go ahead..... let these cute ideas inspire you to whip up a zany treat for a class party or even a fun dessert for your family this week. 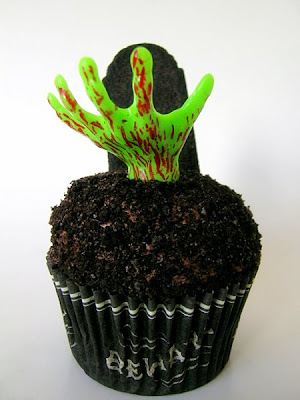 How about this creepy, crazy monster cupcake from My Sweet and Saucy ? Who wouldn't want to did into that? And it's chocolate! You can't possibly go wrong with chocolate. 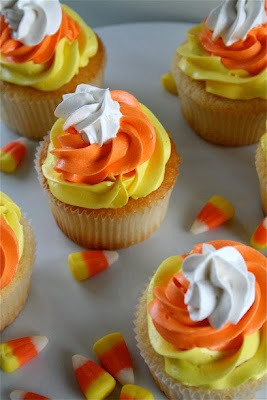 Candy Corn Cupcakes from the Curvy Carrot - Yummy!! These are so pretty, but really a pretty simple idea. from Sweetest Kitchen featuring green, rising from the grave hand sold at Bake it Pretty. At the Sweetest Kitchen, she's even got a bloody finger cupcake...... if your interested in that kind of thing. 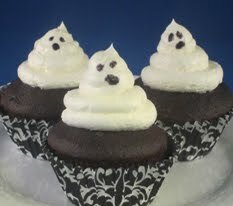 Right up my alley.... easy and effective -- super sweet ghost cupcakes from Life of the Party . And these yummy brownie-ball icky spiders from Bakerella. She is truly the most amazing talent. And I think she could inspire just about anybody to ball up some cake and dip it in chocolate! 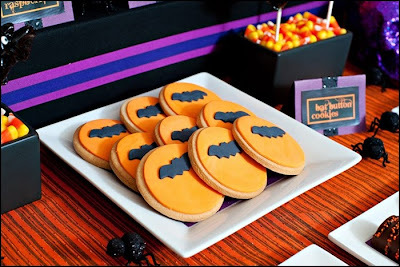 And these yummy bat marshmallow fondant sugar cookies from Sandra Downie Events. 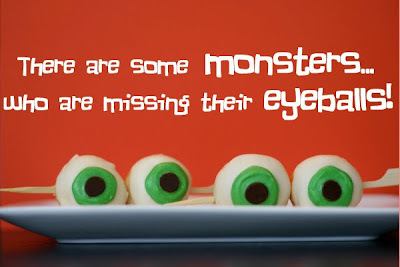 And these aren't cupcakes, but you could put these Monster Eyeballs on a cupcake. like she did at Bee in the Bonnett. Cute! Cute! now if there were only a few more hours in the day! The blog contains great information for me. Tailgate FREEBIES!! War Cam Eagle! Bagel Witches - How Cute! Let's Get it Started..... HALLOWEEN!